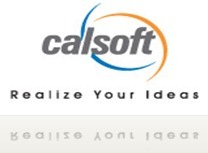 Calsoft California Software Company Ltd. hiring B.Tech/B.E. (Any Specialization, Computers, Electrical, Electronics/Telecomunication) | Freshers Job in Bangalore | Apply Online Only. Join Indian Air Force after Btech / BE: Government job. IAP COMPANY recruiting BE/ BTECH (Computers, IT) | Freshers Job in Bangalore. ORAFACT Inc. hiring B.Tech/ B.E/ M.Tech (Computers, IT) | Fresher Jobs for Engineers in Bangalore. y apply on line s not accessing? wats d last date? we can walkin directly to velachery office eh? online apply shows error.mention the last date.